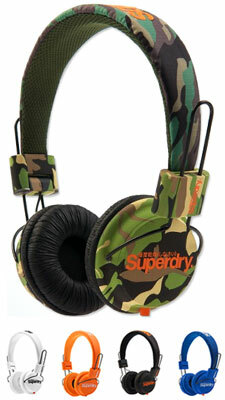 Superdry's first ever headphones are stylish, fold away and lightweight. Super bass speakers make them a must have this season with crisp sports colours and camouflage prints sure to stand out against winter knits. Perfect for any music fan, these quality head-phones are fashion forward and computer savvy - compatible with all Apple products and MP3 players.